We were approached by a Connecticut family to help bring their ski condo to the 21st century. It was your typical 1970's bare wood, dull walls, dated wallpaper condo with outdated furniture and bedding. The challenge was transforming the space on a budget and we accepted the challenge! 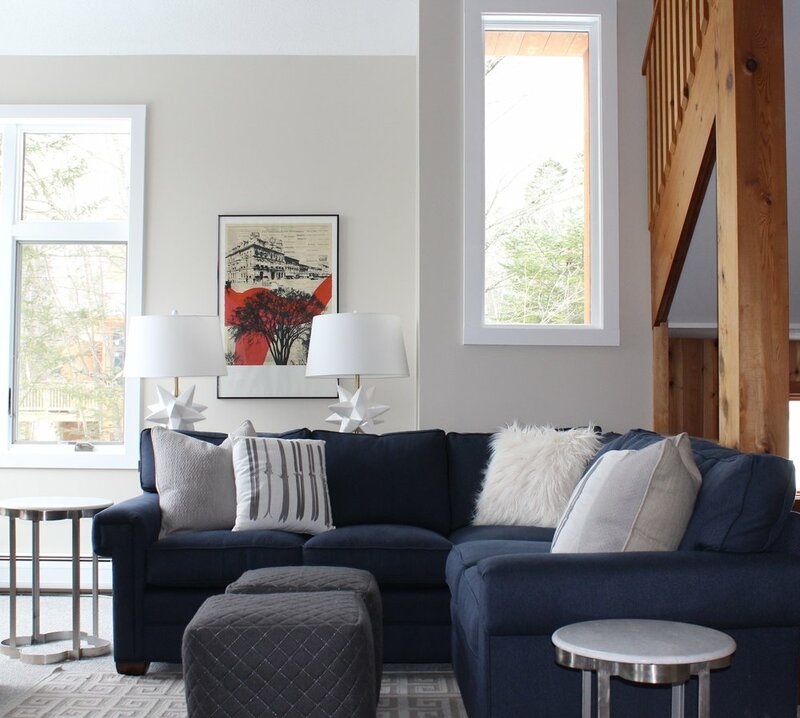 We orchestrated a full interior re-model, including wallpaper removal, paint color selections, furniture and light fixture selection, custom window treatments and accessorizing. The result - a total transformation from ho-hum to fabulous! Serene creams, grays and blues breathe fresh air into the living room. Colorful bedding and night tables, along with a fresh coat of paint liven a bedroom. Drapes at the slider door add color and a thermal barrier to the cold outside. 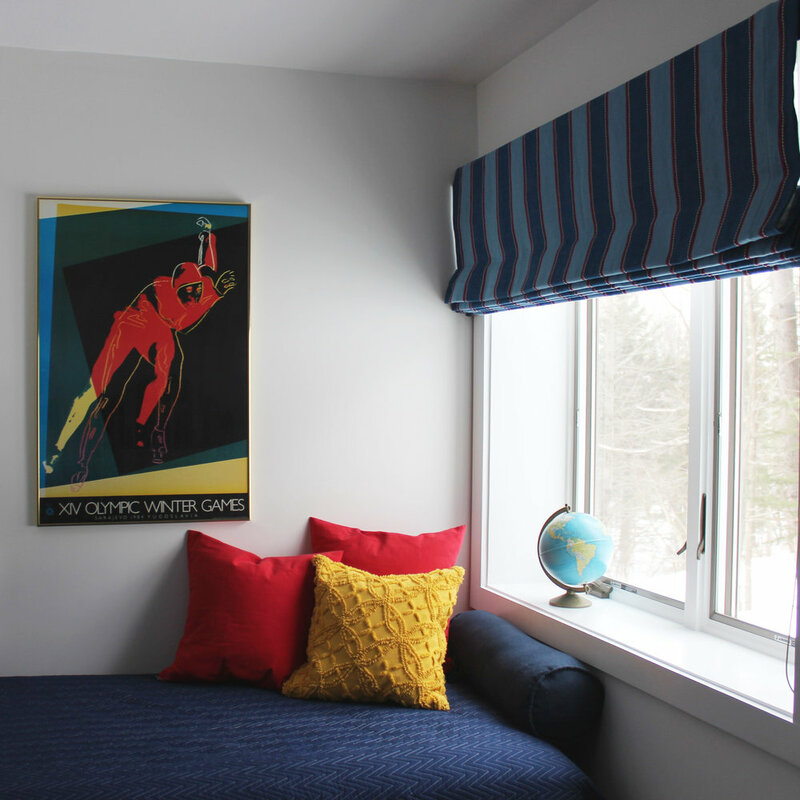 Family skis were retired and re-purposed into headboards to create a colorful reminder of time spent on the mountain. A little more space was needed for the large family, so a daybed was added for lounging and sleeping. 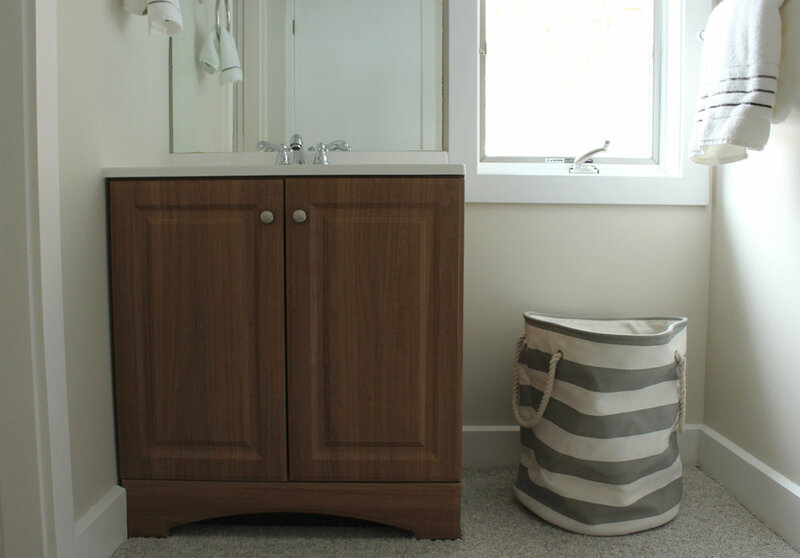 Wallpaper removal, new vanity, lighting and window shade transformed a bathroom.